Today I was lucky enough to be able to go and visit Blackingstone Quarry on Dartmoor at the invitation of the owner Chris. Blackingstone is one of the two quarries which provided all the granite with which Castle Drogo was built (the other quarry being at Merrivale). Part of the ‘Saving Castle Drogo – ensuring its a Design for Life!‘ project involves re-instating the granite slabs onto the roof once the works to stop the building from leaking are complete. For more details of the project see the Drogo interactive booklet on the right hand side of the home page of the National Trust South West blog. You can also support our £1.5m appeal there too! 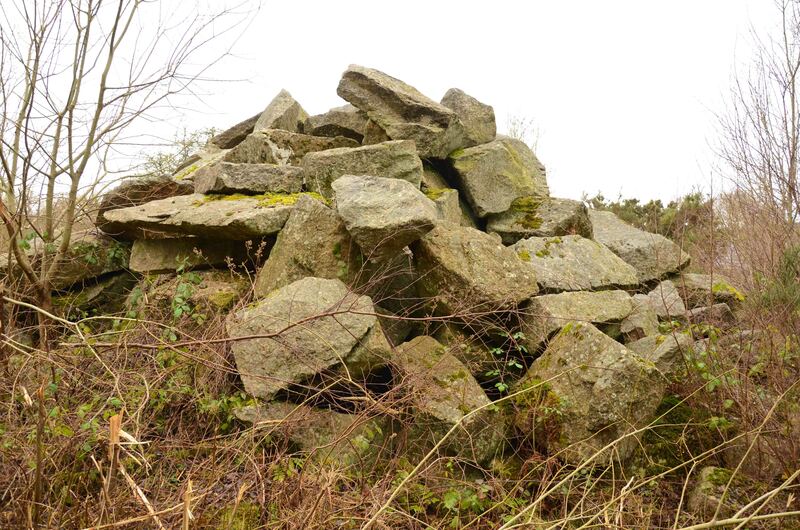 The original paving slabs are long gone and new ones need to be cut – the National Trust is in the process of buying a supply of granite from Blackingstone Quarry so that the work can go ahead. Here is the quarry today – it looks wonderful, is now filled with water and is a wildlife haven. Today there is no active quarrying in progress at Blackingstone but there are plenty of blocks which stone masons can turn into the paving slabs we need. Here is part of a pile of granite we want to buy. Blackingstone Quarry (there is also more than one way to spell it!) is a private site with no public access but we are hoping that during 2012 we will be able to run some visits to the site for those who are interested. Details will be available from Castle Drogo later in the year. 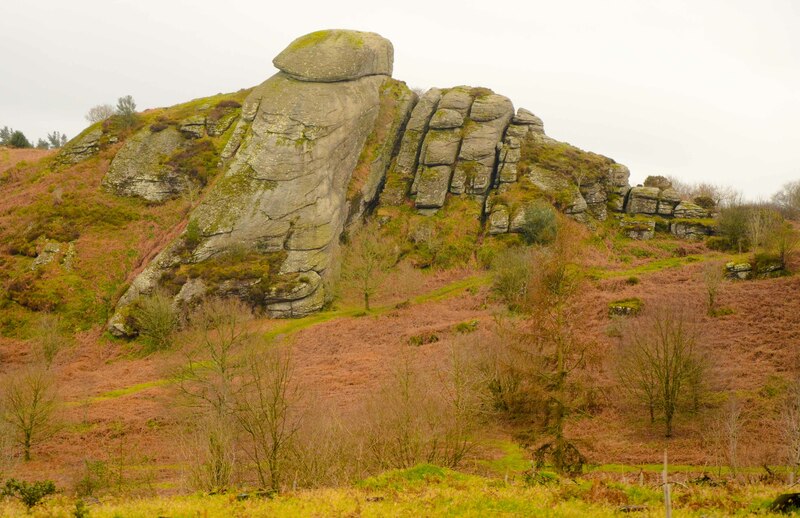 Another spectacular feature to look out for is Blackingstone Rock which is adjacent to the quarry – this is open to the public so you can visit this place now. Finally, there is also a particularly grizzly legend about Blackingstone Quarry involving 3 ravens and a baby ……. This entry was posted in Dartmoor conservation and tagged Castle Drogo. Bookmark the permalink.